Beloved rock group Deerhunter released today their eighth studio album, Why Hasn't Everything Disappeared Yet? It talks a lot about violence, calamity, death, and what happens afterwards, but it's far from a dejected surrender. There's still a lot of kicking, buzzing, and miraculous life in the music. 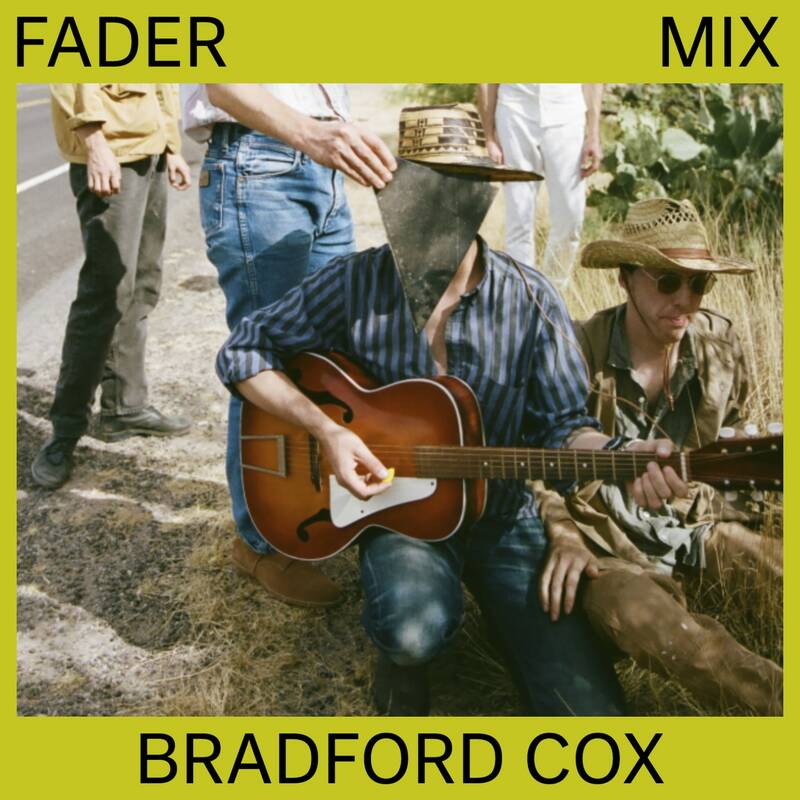 Today, The FADER shares a similar-feeling mix from frontman Bradford Cox, filled with wondrous, dazzling sounds that feel plucked from random points in the fabric of space and time. An anonymous Uzbek folk tune played on the Qobuz is seamlessly followed by The Residents' "Boy In Love." Cox dips into classical with Russian composer Vyacheslav Ovchinnikov's "M-6," and surfaces with Willie Gregg's swinging "You Fool." There's a field recording taken in Congo that stars a warbling, and raw-feeling vocalization. Surely, the world is accelerating into its own collapse, but, if anything's to be gathered here, we at least had a pretty beautiful run. 1. Daphne Oram - "Melodic Percussion"
2. Bobak, Jons, Malone - "On A Meadow-Lea"
3. Sam Mateparae & The Rocking Rockers - "Rocking Rockers Theme"
5. The Residents - "Boy In Love"
7. Willie Gregg and the Velvetones - "You Fool"
8. Beverly McKay - "No, No, I Can’t Help You"
10. Qualities - "She’s My Moonglow"
11. Santo&Johnny- "Long Walk Home"
13. Lee Hazelwood - "Long Black Train"